The high performing affordable professional tangential cutter EOT-3 (EOT-2) turns you High-Z and T-Rex into fast cutting plotters. This cutting knife with an oscillating knife motion is very easy to implement on our CNC machines. 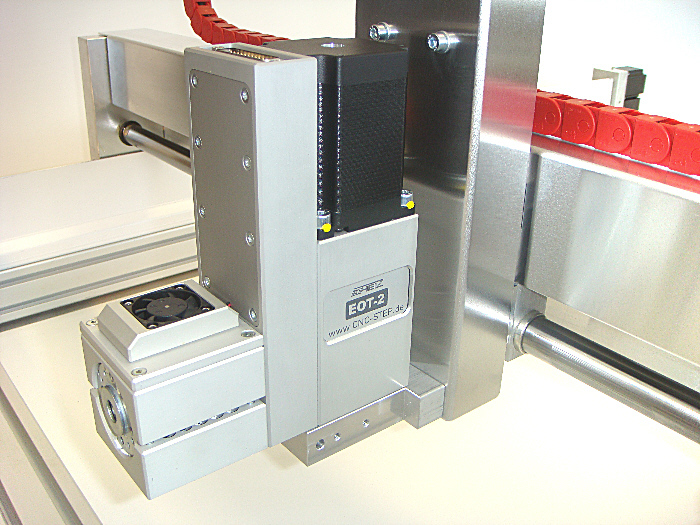 But you can use it with most other machines as well as long as you can control a 4th axis (the rotating EOT-3). 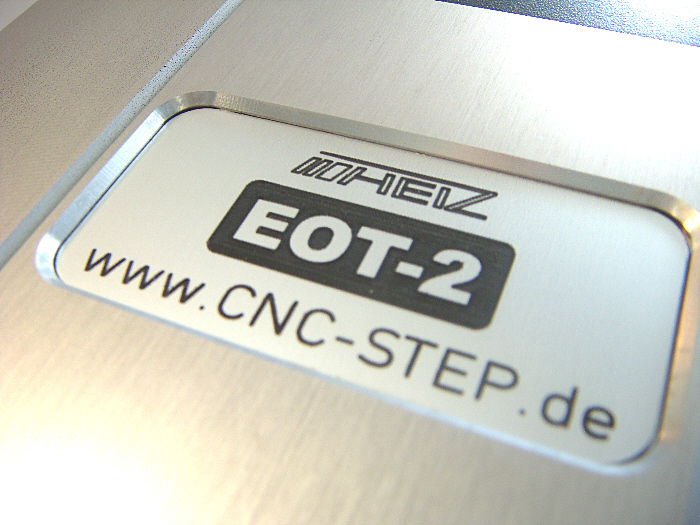 EOT-3 will tun in the direction of the cut for precise and efficient cutting of a very wide range of materials. The build quality is excellent and a number of improvements have been made to this latest model E0T-3 compared to the former model EOT-2. When using third-party machines, it may be necessary to change the pin assignment, but that is usually quite easy to do thanks to the documentation provided for EOT-3. The knife works really well with sealing materials, leather, cardboard, cork, foams, veneer, rubber, and much more. Precision ground kinematics for lasting precision. 43 mm neck for attachment to holder. Different blades are available for different cutting tasks. All tools are precision ground from high quality solid carbide. Special applications may require custom blades. Two or more cutting heads are possible on a single machine. 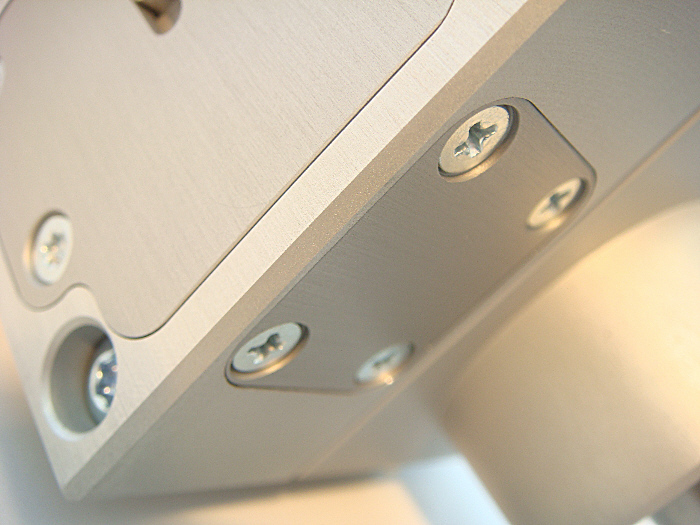 Installation on systems other than ours is made as easy as possible with great documentation.